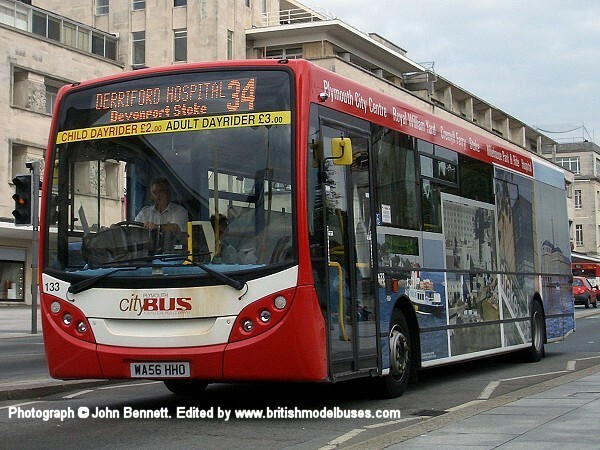 This photograph was taken Hull Station on 24th May 2010 and shows fleet number 352 (YX56 HVJ ). 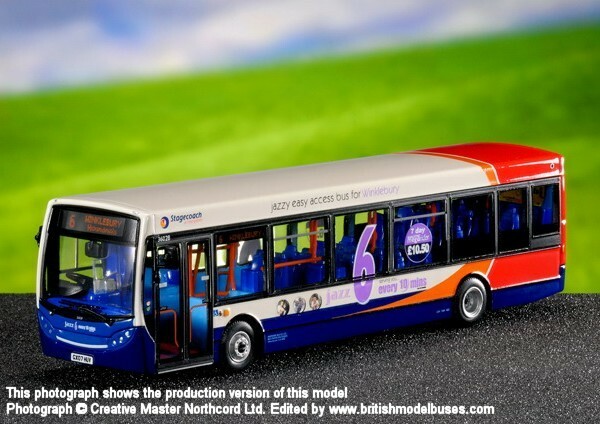 This is the actual vehicle represented by Creative Master Northcord Ltd model UKBUS8005. 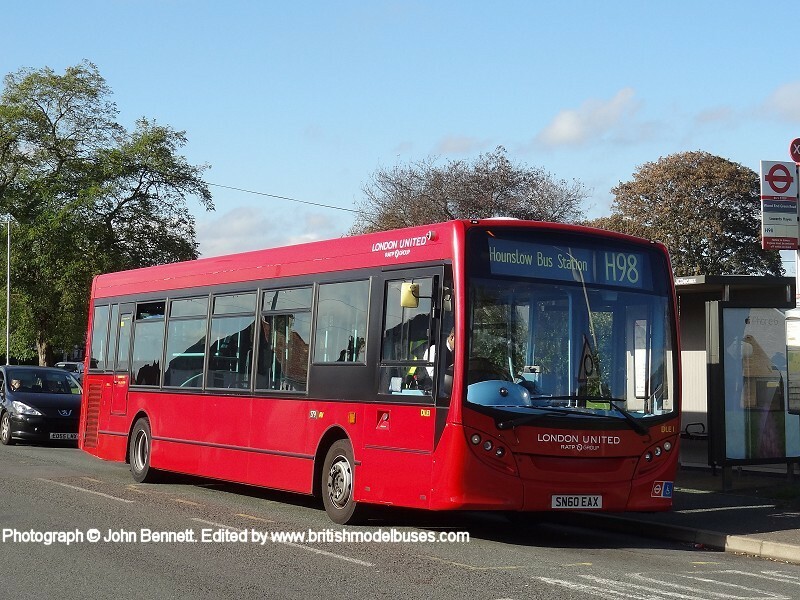 This photograph was taken at Showbus on Sunday 26th September 2010 and shows the nearside view of the above. 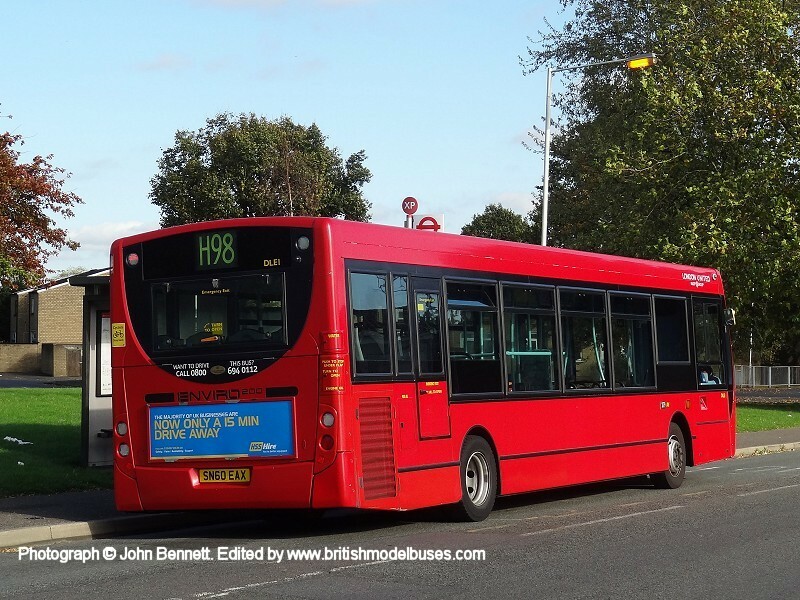 This photograph was taken on Monday 18th January in Ruislip Road East, Greenford, passing the top of Greenford Avenue and shows DMS44414 (YX09 FLP). 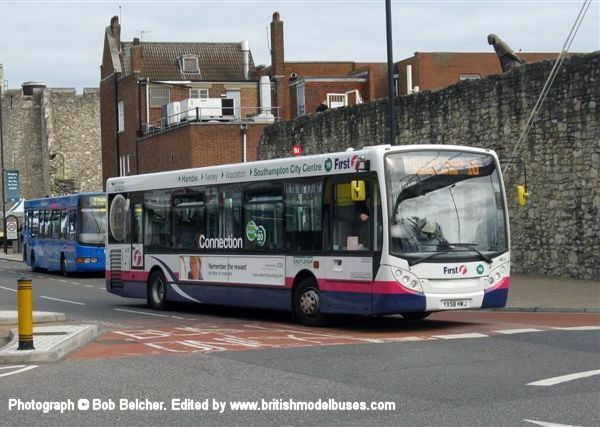 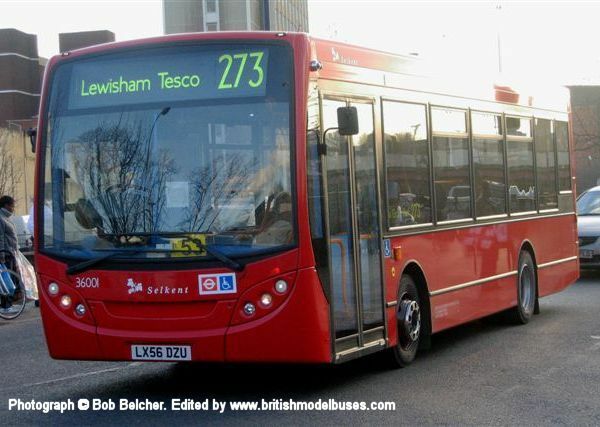 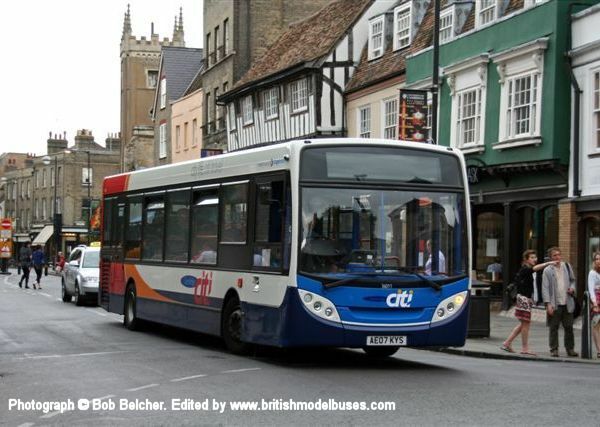 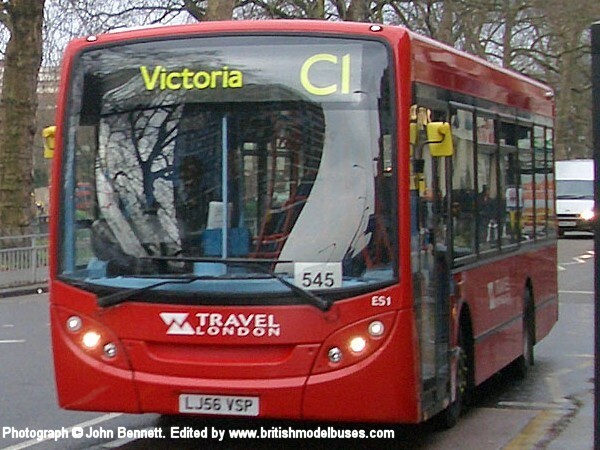 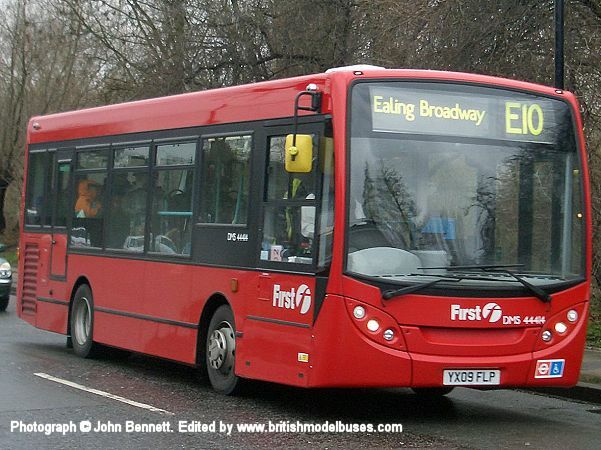 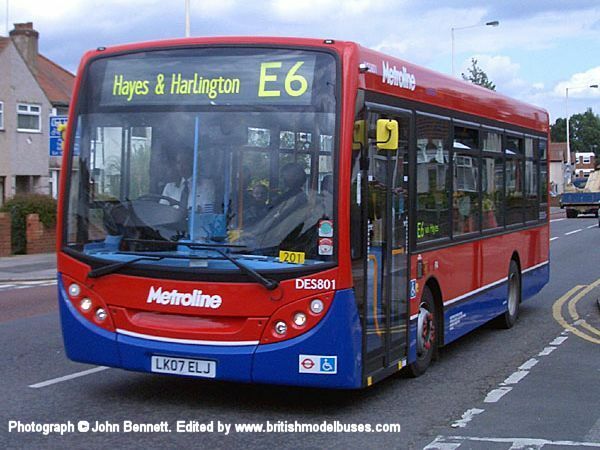 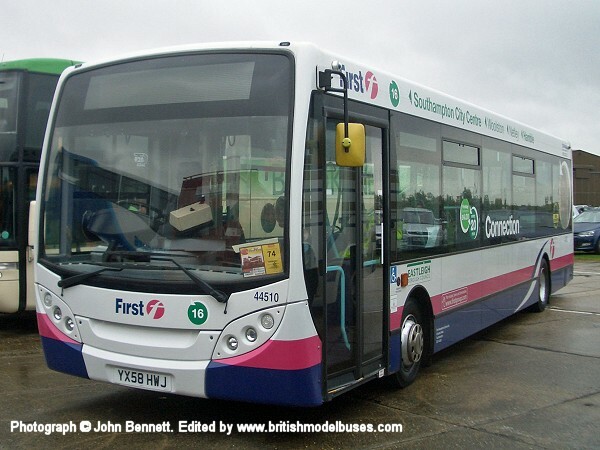 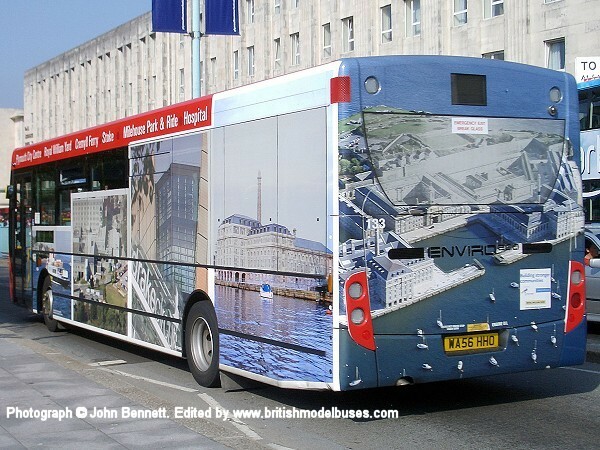 At the time of publication of this photograph (February 2010) this vehicle operates on routes E5 and E10 (E standing for Ealing). 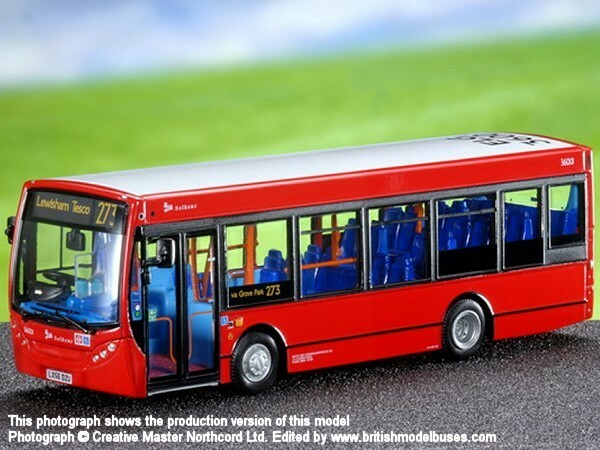 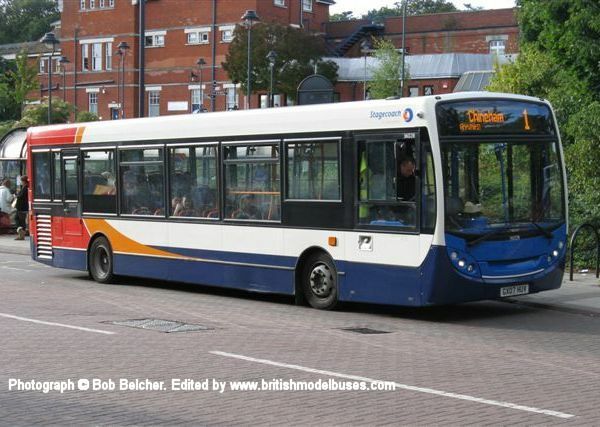 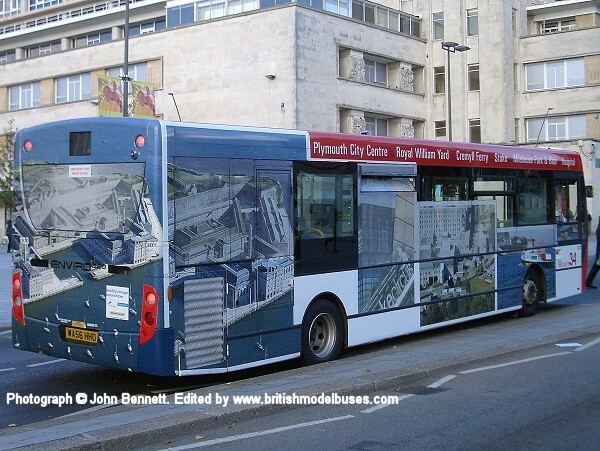 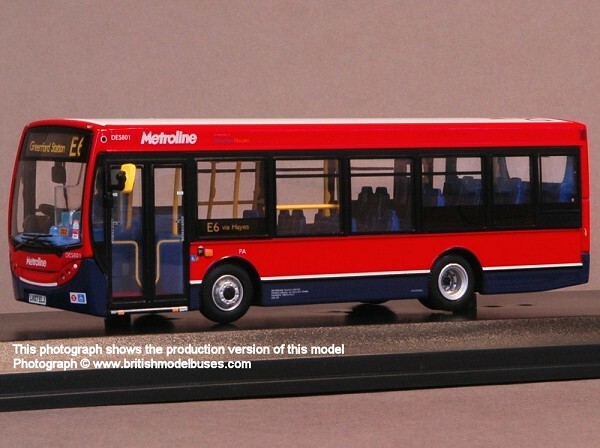 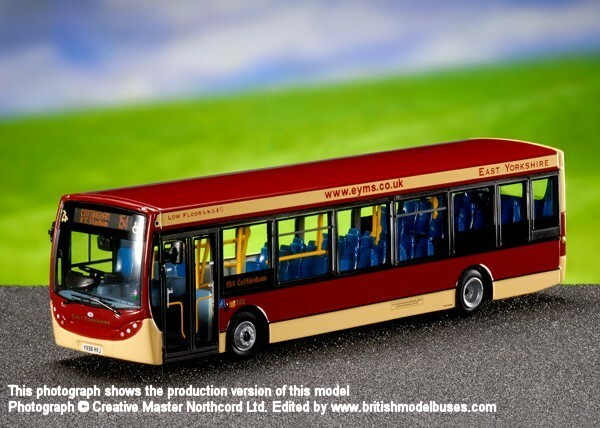 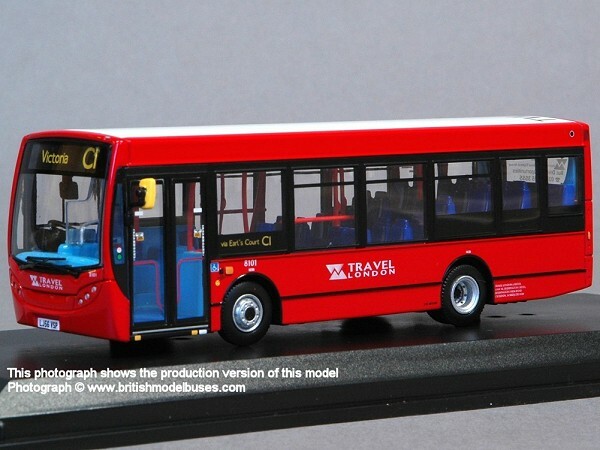 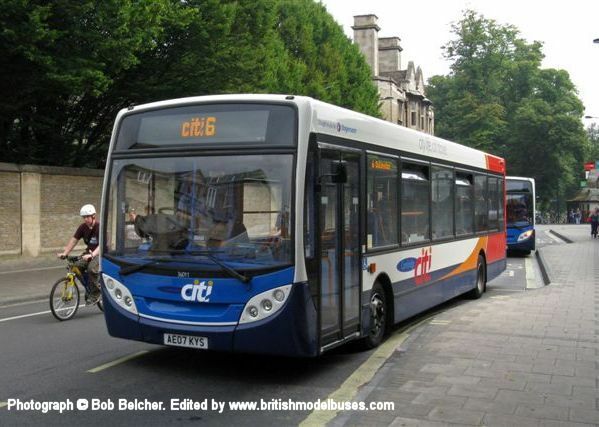 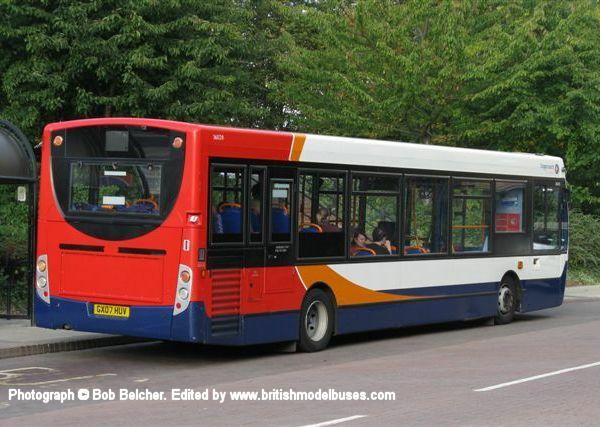 This is the actual vehicle represented by Creative Master Northcord Ltd model UKBUS8015. 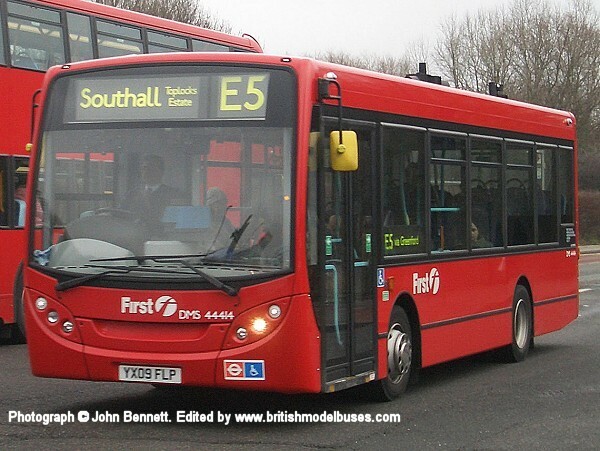 This photograph shows the offside view of the above and was taken in Ruislip Road East, between Greenford and Ealing, on a wet, grey, miserable Sunday 28th February 2010. 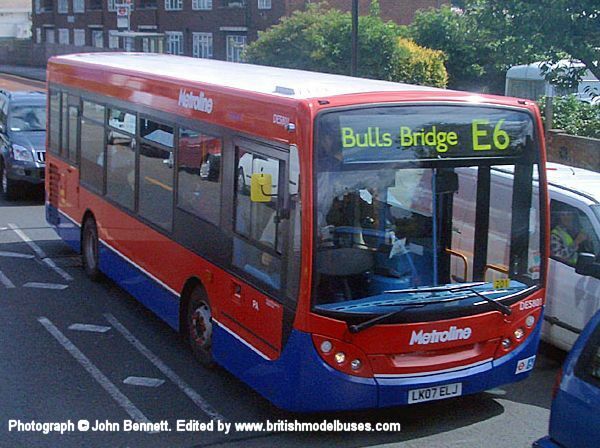 This photograph was taken was taken in Greenford Road on Thursday 28th June 2007 (from the top deck of a no. 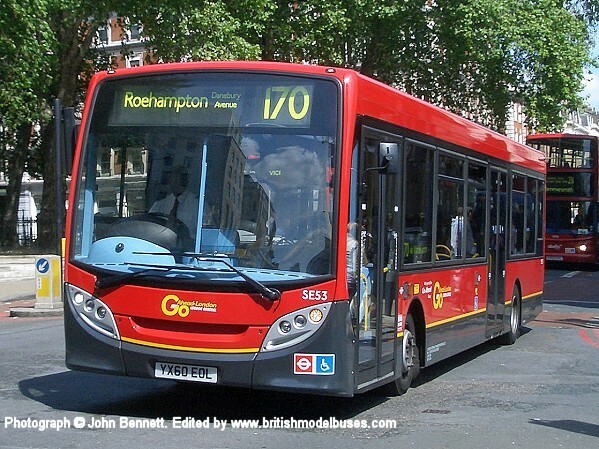 92 bus) and shows the offside view of the above.